Warhammer Tau: What you should expect from us and the site. Since taking the reigns about a month ago I have worked very hard to adhere to Adam and David's (and the others) standards of quality as well as set some new standards for myself. I have changed a couple of little things here and there, and I am working on a few others. I added sections for books and allies, and changed the Recommended Blogs section a bit. Hope you like it. I am currently working on removing the advertising from the site. There is this one ad that pops up right after the first article on the page that drives me batty. I am also going through all the posts and making sure they're all dated and have a relevant picture to help readers know when the things were written and to improve the article previews. I had originally wanted to archive those prior to the new edition of the codex, but Adam wrote some great articles that are still entertaining and informative. So my vote, they stay. Just with submission dates more visible. The pictures help with the "you might also like" bit. I know that may not seem like much to some of you, but it is pretty big to me. There are five of us on the council, or committee, or whatever you want to call it, and well, we are all pretty much fully employed otherwise, or fathers, brothers, friends, or whatever. And most of us would rather spend what little hobby time we get playing, and not necessarily writing about 40k. After all, isn't that how it should be? I am not making excuses here, just trying to give you all a better feel for who we are and what you should expect from us and the site. 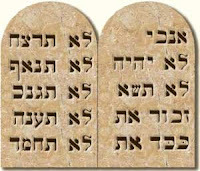 That said, these are my 10 commandments, or rather standards I intend to follow and promises I intend to keep. This is a Tau, Kroot, and Tau Empire Allies blog. Period. I will try to avoid posting articles about other games and armies. I cannot promise 100% compliance with this one, kinda like that "don't covet thy neighbor's wife" thing. At least one article per week -mostly likely from me, and I am shooting for an article to be posted at least every Monday. The other guys will post when ever they have articles to contribute. Check back regularly to see what we're talking about. Well-witten articles. Grammatical errors annoy me, and I am sure they do some of you as well. But strangely, I have never been annoyed by proper grammar and punctuation. Not even once. We are not a rumor site. I rely on Faeit 212, Bell of Lost Souls, and 3++ is the New Black for my news and rumors, and rarely will I regurgitate their articles... unless its something really juicy (and Tau-like) that I can legitimately expand upon. Redundancy is annoying. Redundancy is annoying. Redundancy is annoying. Get my point? I will try to focus on philosophy (as it relates to the game), fluff, thematic army lists, tactics, and other general hobby stuff specific to our army of choice. I will never, ever write an article about Dark Eldar, unless it's a battle report in which I have soundly kicked their pointy asses. I love to hate them. Sorry Natfka. I will never, ever write an article whining about what some army has that Tau doesn't. Call a Waaahaaambulance, we don't have psychic powers, boo hoo... la di da... I'm so tired of that. If I wanted to whine all the time then I'd play Dark Angels. I will borrow material from other sites from time to time, and I will always thank, credit, and link to the source. I will allow all comments as written, but I reserve the right to clean the crap off the walls (delete spam, rants, and obvious garbage). I will not delete your comments simply because I disagree with them, but I will probably fire the railguns at one or two odd badgers here and there. Keep the comments pithy and relevant, and I will try to do the same. I will try not to take myself too seriously. Those are my operating principles, and I think they will help keep the site relevant and well read --as it has been so far. Funny is good, and I play Tau. Glad to see I have passed the blog on to safe hands. This all sounds like stuff i would have liked to do if I'd had the time. And thanks for your efforts! You are missed. Funny thing, I just posted the article and found a couple of typos... Spell check can be, we'll, amusingly inaccurate. I love your operatibg principles for the blog, and I try to adhere to most of them! Looking forward to more of the same, and some new as well! 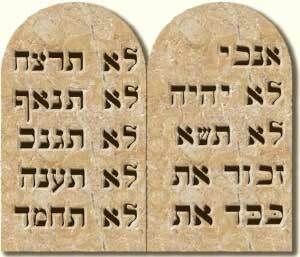 About commandment 1, i think it's good to write things about other armies, as long as it's in the same vein of "what can tau do against it". Learning common tactics and strategies of other races, and good counters for us is perfectly helpful for tau players. Well, I agree, and I play several other armies. (for context) I currently have about 10,000 points of Tau, 3,500 points of Kroot (from fan codex), almost 4,000 points of Eldar, and almost another 4,000 points of Black Templars, a Hive Tyrant, a lictor, and three units of genestealers that I someday want to evolve into a nice big bug army (tyranids). I have the assault on black reach orks and all the models from the Dark Vengeance starter kits (even the Dark Angels). On top of my 40k stuff, I also have a large Lizardmen army, a Directorate Fleet, and about 100 points of Protectorate of Menoth figures. So I get it that we like and play other armies as well as other games. But as a site dedicated to Tau and their allies, I think it would be a bit off if I were to post say, an article about the new version of Risk (which is amazing, I must say). I see the stats, for the most part, most of our readers are loyal (they come to the site often, even if they don't comment) and they come to Warhammer Tau to read articles about Tau. I mean think about it for a minute... would you frequent a site called "The Ork and Grinder" for articles about Tie fighters? No. Call me crazy, but it is my belief that a site dedicated to Tau should post articles about Tau. From your comment, it appears that you agree. But I dunno. 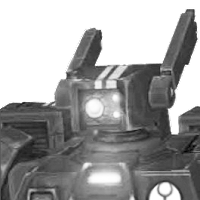 That said, I may stray from my annointed path from time to time, but in most cases I will find a way to connect that unrelated article to our beloved Tau.